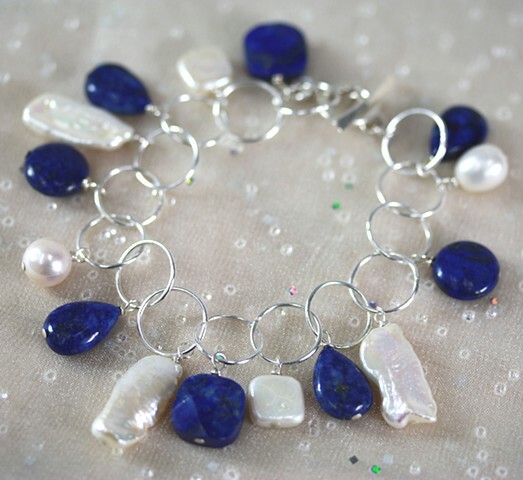 Shimmery fresh water pearls in organic shapes with rich lapis lazuli (inner clarity) on sterling silver circle chain. Fine silver toggle closure. Approx 7 3/4"